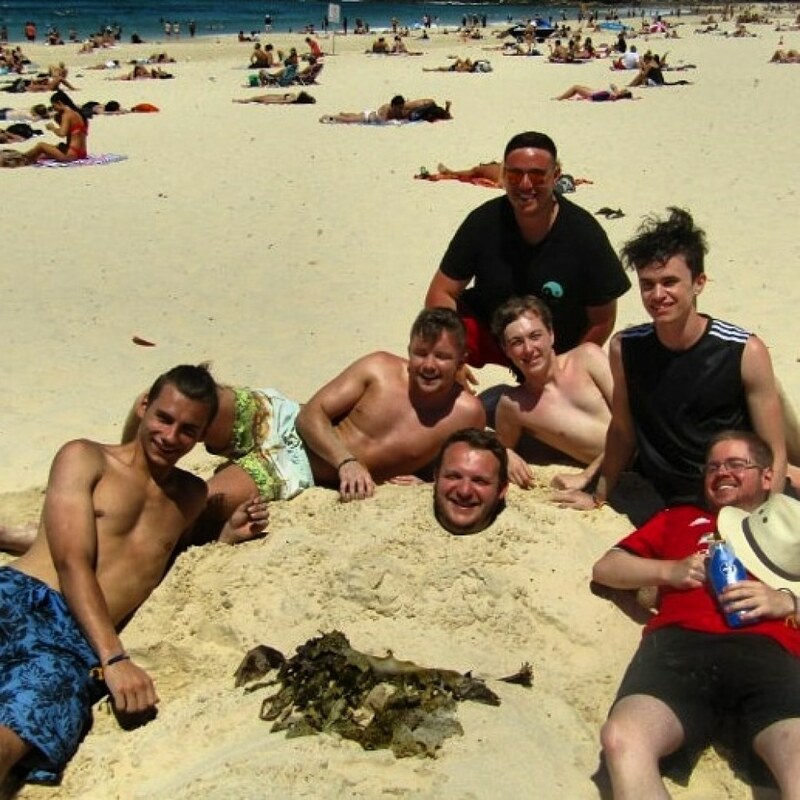 Work and play down under with full job support! 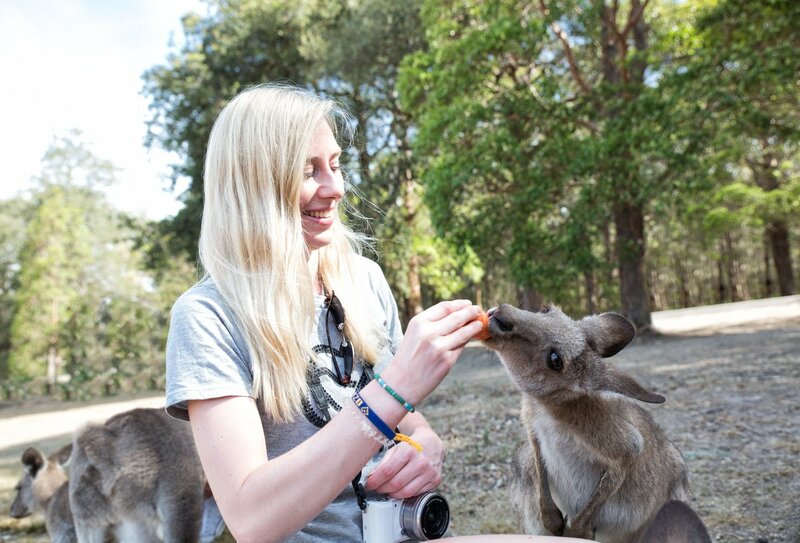 Make new friends down under! 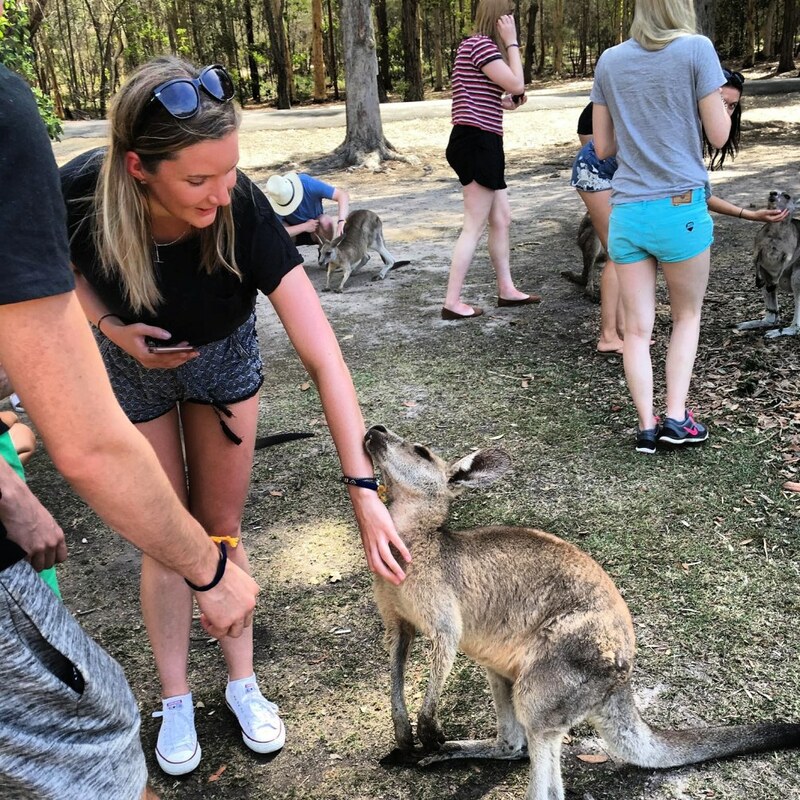 Our Paid Work in Australia programme is designed to give you a fun introduction to Australia as well as arm you with the tools and knowledge you'll need to make your experience the very best it can be. 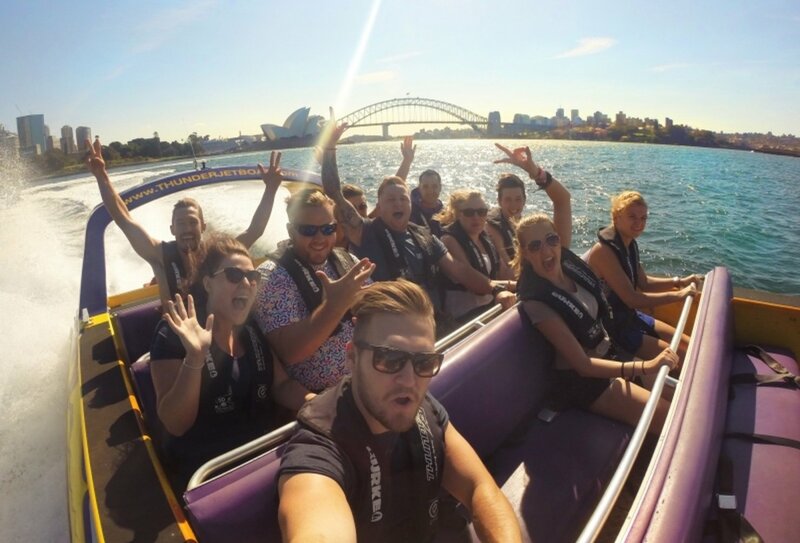 Following a personal meet and greet from Sydney Airport, you'll spend your first nine days going jet boating, learning to surf, sand boarding, and cruising alongside dolphins, you'll get the lowdown on all the practical stuff, from setting up bank accounts to signing up to our huge jobs database and preparing for interviews; our expert team will offer you all the help and advice you'll need to bag yourself that all-important job, and will continue to offer their support throughout your time in Australia. 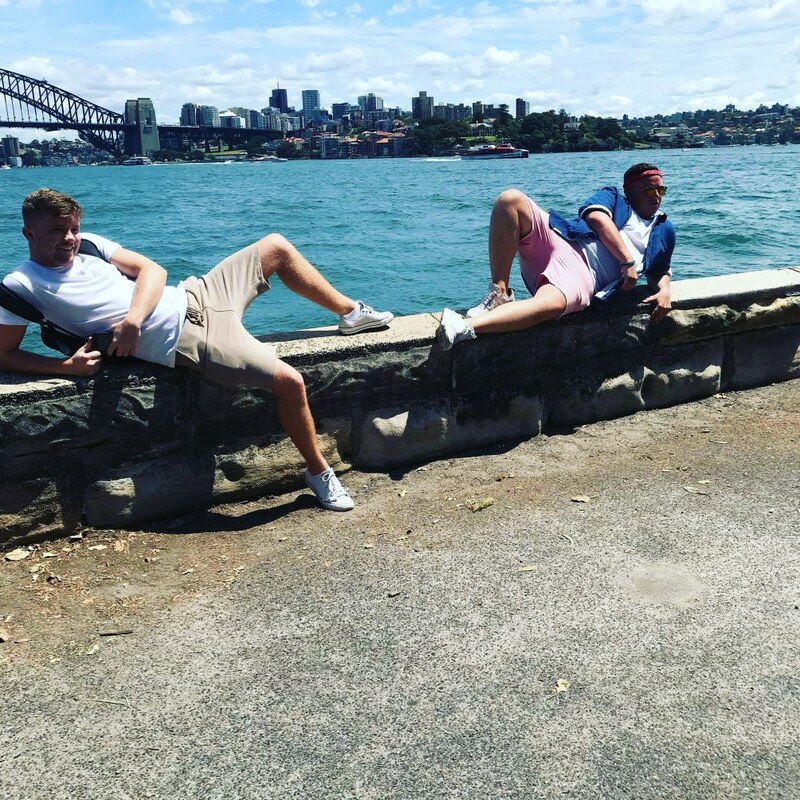 Day 1: Arrival – Welcome to Australia! You’ll be personally met at the airport by one of the team, who will take you to your city centre accommodation to get settled in. 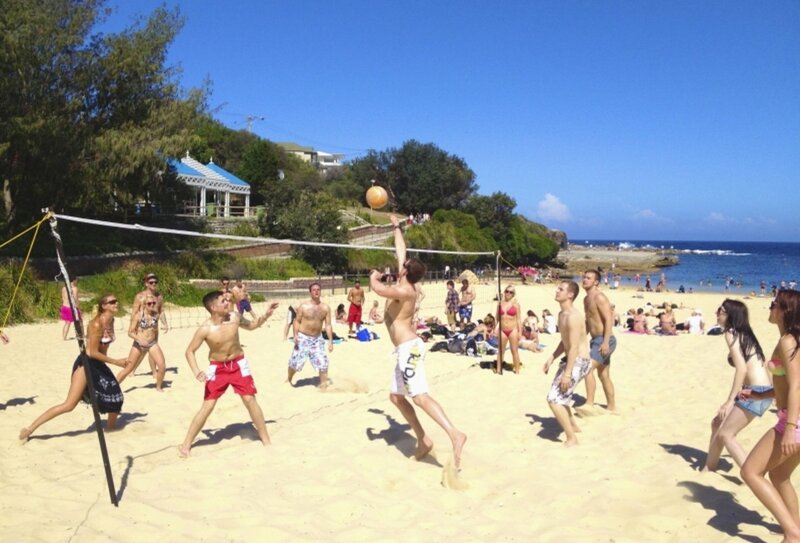 Depending on the time you get to Sydney, you'll have time to unwind and relax before meeting the rest of your group. 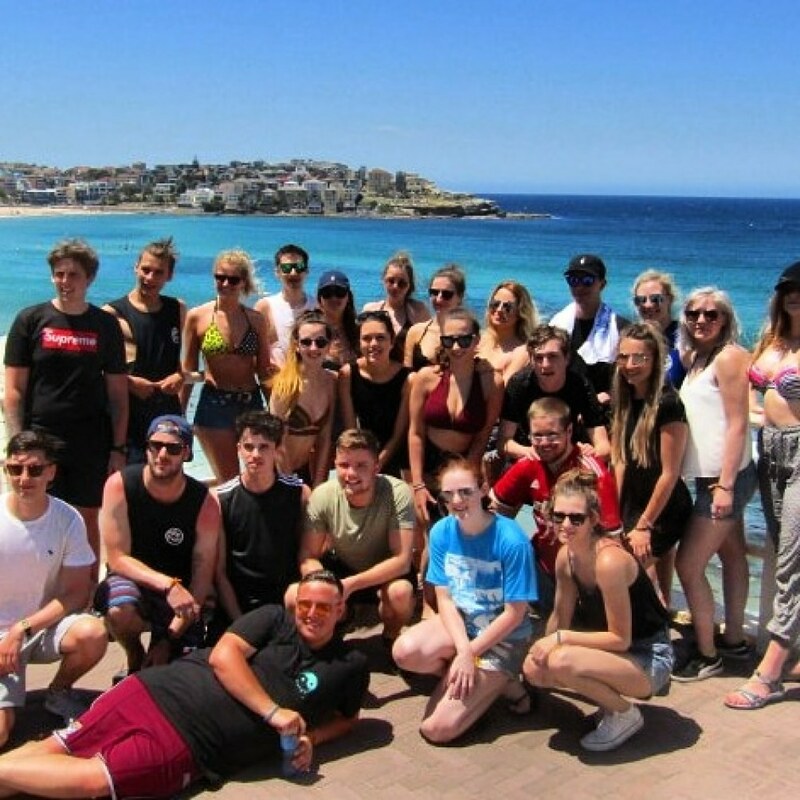 You'll get a full city orientation on day two, where your local team will tell you about the area, the sorts of jobs on offer, explain about travelling around the rest of the country, and most importantly be able to point you in the right direction of all the best places to party at while you’re in the city! Afterwards you'll get to go on a brilliant jet boat trip through Sydney Harbour, which is a great way to see the Opera House, Harbour Bridge and spectacular views of Sydney. 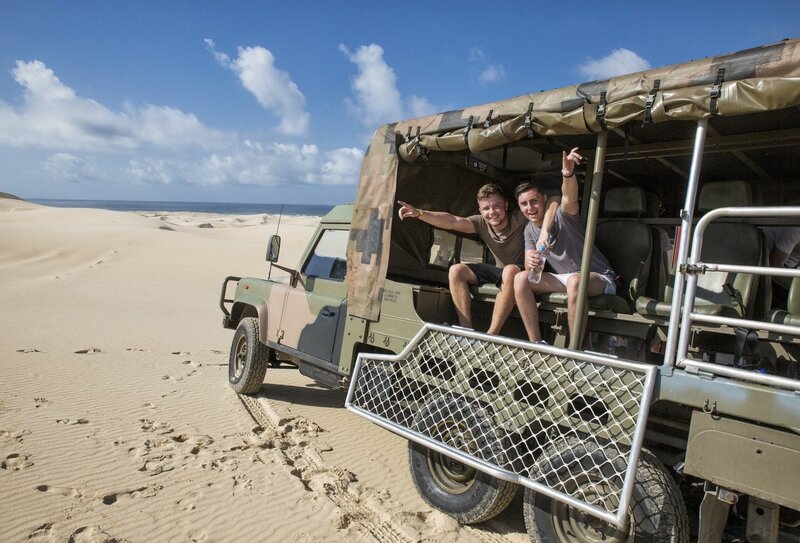 Today the team will be giving you the lowdown on travelling around Australia - to give you all the information you'll need to make the most out of your travels whilst living and working down under. 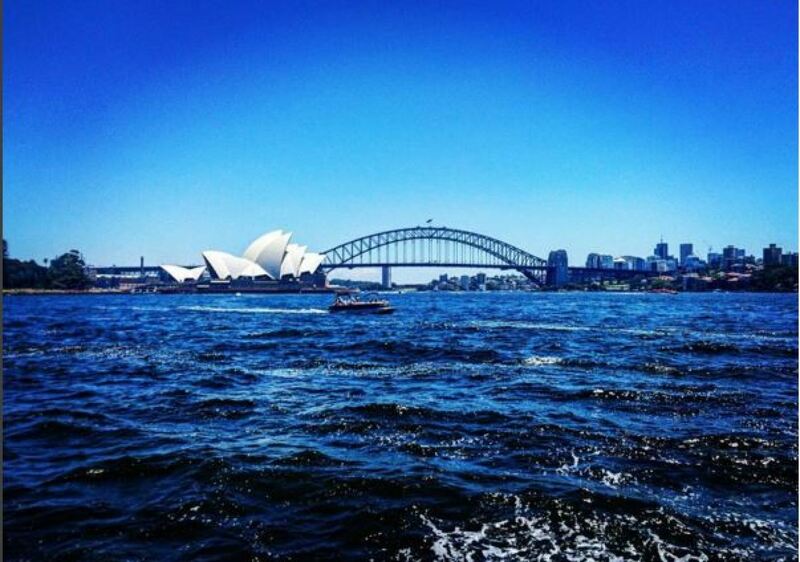 In the afternoon the group will head out on a private boat for a cruise around Sydney Harbour. 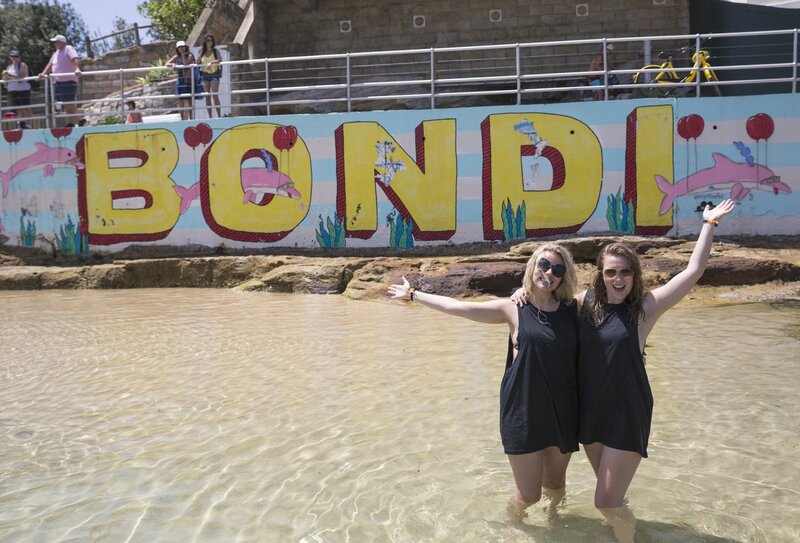 We'll visit the world-famous Bondi Beach today, so relax on the sand or enjoy splashing around in the sea. 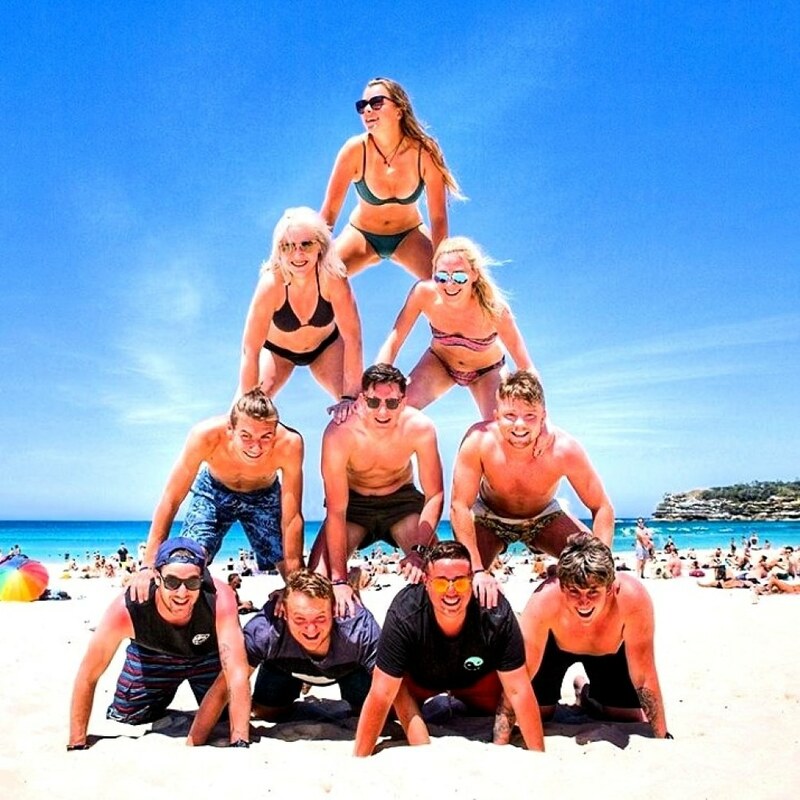 Afterwards we'll do the Bondi to Coogee coastal walk where you'll get to snorkel in secluded bays along the way, play beach volleyball and indulge in a proper Aussie beach BBQ with a few cold beers. 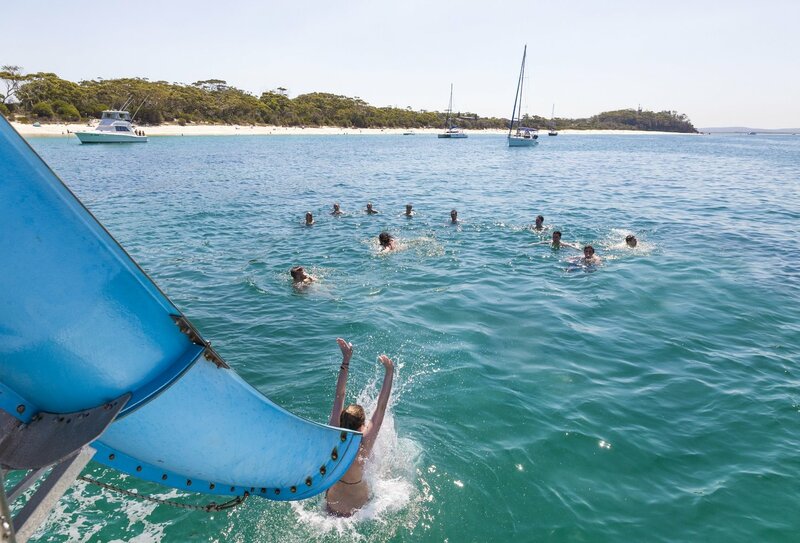 On day five we'll head north, out of Sydney, to the beautiful coastal town of Port Stephens. 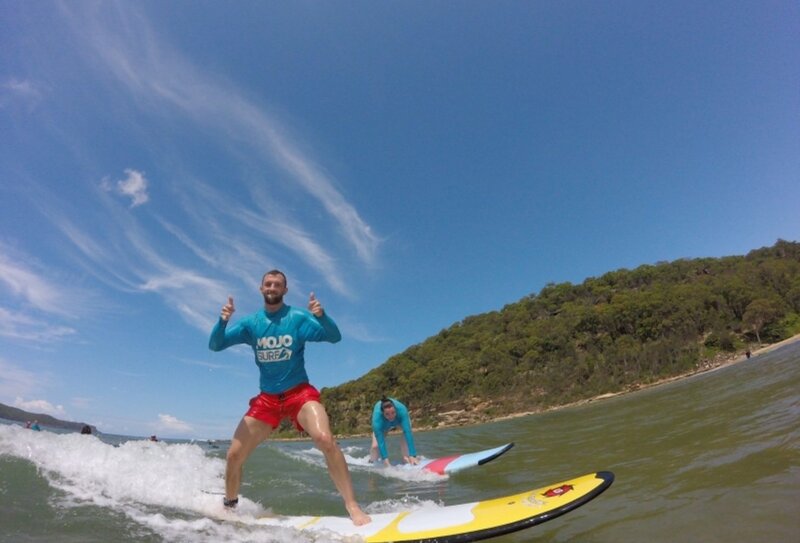 We'll stop off at a secluded sandy bay on route for a surf lesson with some brilliant qualified instructors and ride the waves with some proper Aussie surfers. In the evening we'll have a BBQ and sit around a bonfire on the beach before bunking down for the night in our unique bush bungalow accommodation for the night. 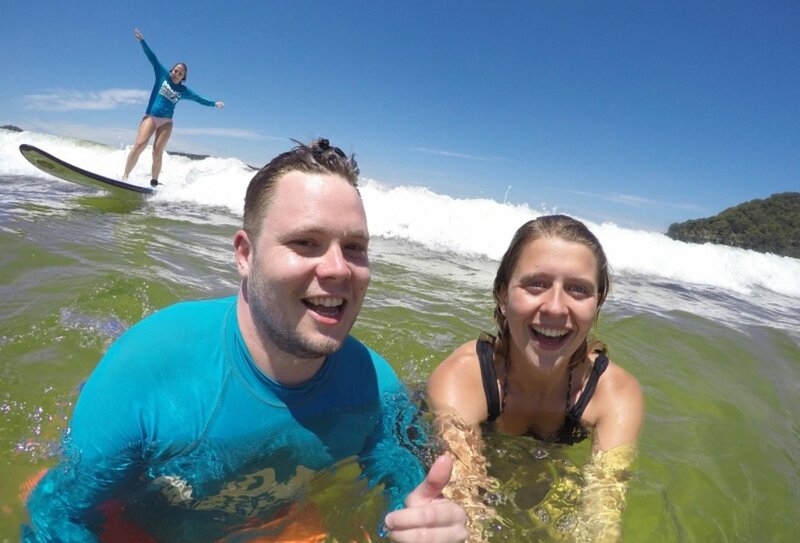 Please note in winter months (June, July, and August), we'll go on a brewery tour in Port Stephens rather than stopping for a surf lesson. 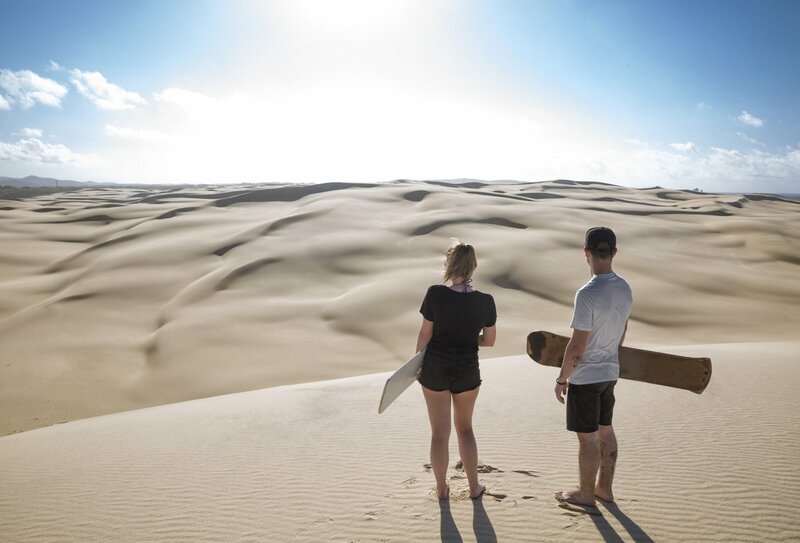 Today you'll get to feed wild kangaroos and spot koalas before we head off to sand board down some of the biggest sand dunes in the Southern Hemisphere! 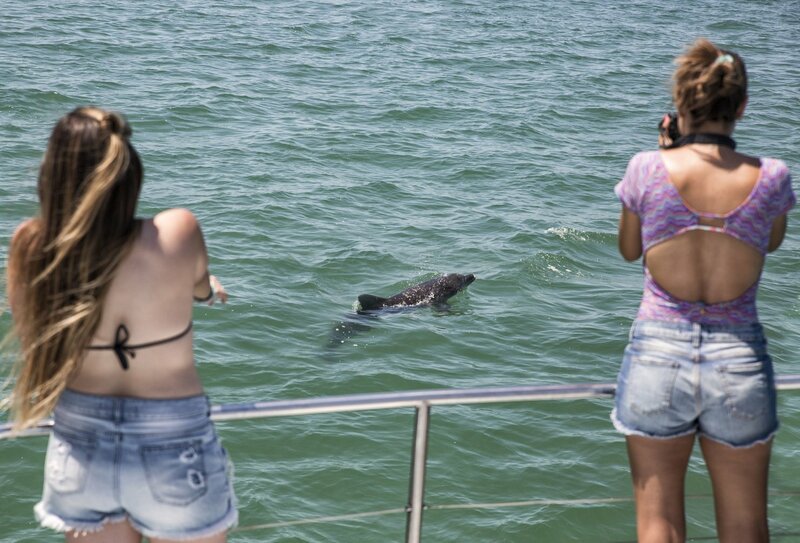 After lunch we'll hop aboard our private boat for an excellent dolphin cruise and have fun being towed along at the back of the boat. Heading back to Sydney later on, we'll have just enough time to freshen up before turning out for a fun night on the town. Day seven is pretty chilled, but it's also an opportunity for you to take advantage of the team's expertise and make arrangements for moving on. They'll be able to advise you on accommodation and house shares and make arrangements for you and your new friends to set up home together. 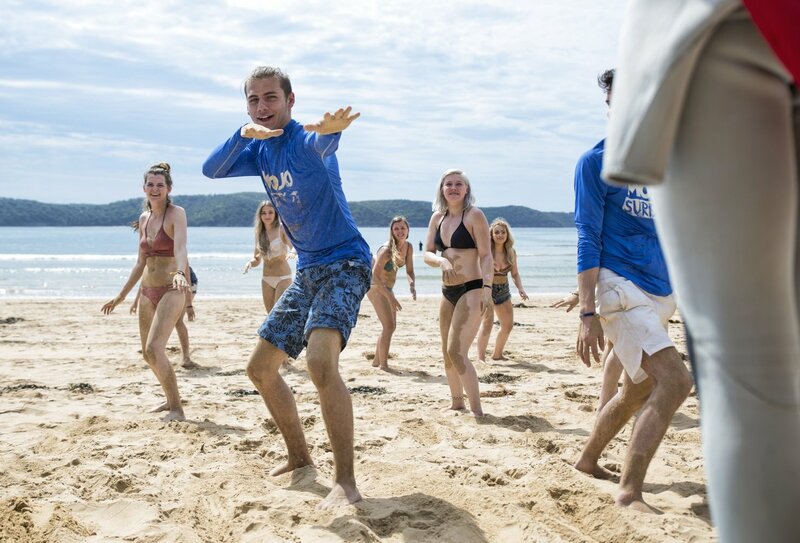 Today is all about getting geared up for working in Australia, so after a comprehensive 'how to find work' seminar, we'll get you signed up on our jobs board and find out exactly what sort of work you're after. 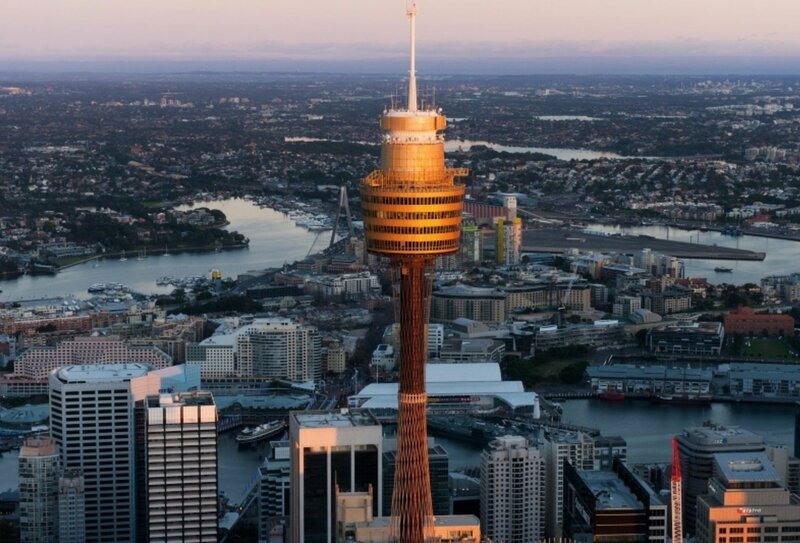 In the evening we'll get dressed up for dinner at Australia's highest and most spectacular revolving restaurant. On day nine you'll check out of the hostel and move on to your house share or other accommodation – unless you've decided to stay on at the hostel, which you're more than welcome to do. Our dedicated jobs team will take a good look through your CV and help you make it even better and more geared up towards the sorts of jobs you’re after in Australia; you’ll get to tell them what sorts of jobs you want to do and whereabouts you’d like to work and live in Australia, they’ll get you set up online with full access to the jobs board, help sort you out with a tax number, Australian bank account, and Medicare membership, they’ll help put you forward for jobs, give you advice and a bit of interview coaching, arrange interviews for you with prospective employers, and help you with the logistics of getting around – pretty good, huh? Even after all this, you’ll still have the team’s complete support, so you can drop in on them anytime to ask their advice, give them a bell if you’re unsure about anything, or simply pop by to say hi. 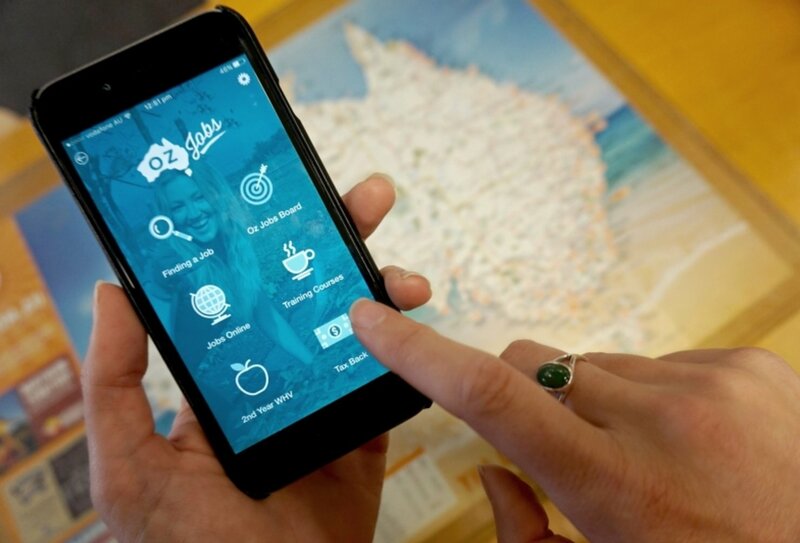 Bars, cafes, restaurants, and hotels provide a variety of different jobs for travellers. You could find yourself working on the reception desk of a swanky hotel, helping out in a busy restaurant kitchen, waiting on tables at a popular cafe, or mixing cocktails at the best bar in town! It totally depends what skills and experience you have as to the role you’ll end up in, but generally hospitality jobs are fun and sociable – and suited to those with brilliant people skills. Typical hospitality roles: receptionist, hotel staff, bar staff, waiting staff, baristas, food prep/chef, valet, event runners, customer service. A great option for anyone with experience of working with children, home help and au pair work is varied and interesting, and will give you a good insight into the Australian way of life. 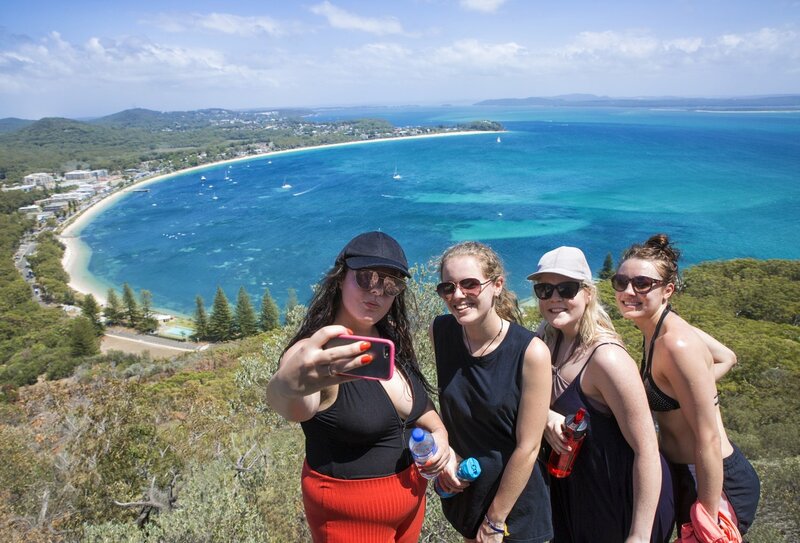 Most of these placements will include your accommodation – which is perfect if you’re looking for more of a family setting to call home while you’re away. Typical home help and au pair roles: domestic cleaner, companion to elderly or disabled people, care provider, live-in home help, live-in au pair, registered day carer, nursery staff. Farm work can be paid or voluntary in exchange for food and accommodation – so check the details of each job you apply for. You can expect to do anything from fruit picking and crop harvesting, to helping with maintenance and animal care. 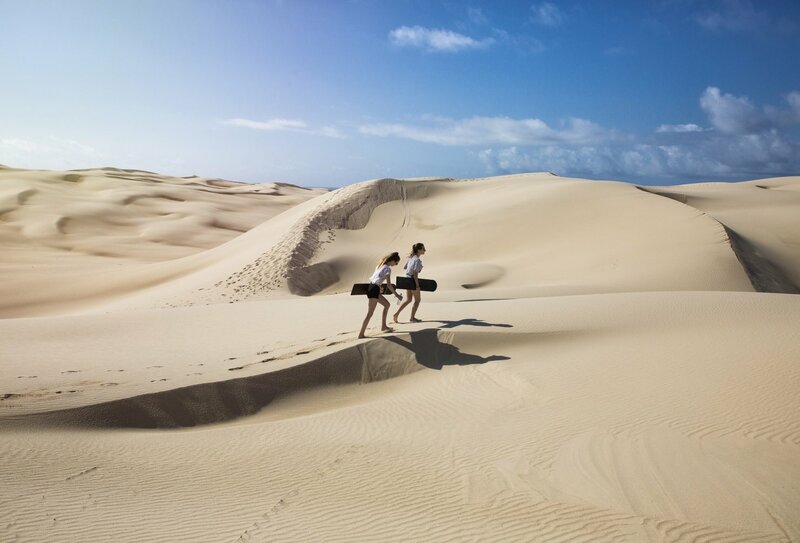 It’s a popular option for a lot of travellers, and while it’s fun, do be prepared to be on your feet doing physical work most days. Typical farm/seasonal roles: fruit picker, ranch hand, farm worker/farmer, cattle herder, shepherd, maintenance staff, plantation worker, crop harvester, beach patrol, lifeguard, tour guide. You’ll find a selection of jobs in the construction industry that require a mix of skilled and general workers, but the most important thing an employer looking for a labourer will want to know is that you’re physically fit to carry out tasks that will include heavy lifting. Experience will be a huge advantage for this kind of work, but you might find some companies simply looking for grafters. Typical labour and construction roles: builders, construction/site labourers, electricians, carpenters, plumbers, roofers, plasterers, site security staff, miners, engineer, project manager, mechanic. Most towns and cities will have a constant need for temporary office workers, whether a company has a big project that requires an extra pair of hands or needs help covering staff absences, and are a good source of income as you move from place to place. The opportunities for this sort of work are limitless – you could be working in IT, admin, graphic design, sales, marketing, accounts, banking... any industry really! And there should be a good selection of different length contracts for you to choose from. Typical short and long term temping/office roles: retail staff, telemarketing/call centre operatives, sales, marketing, fundraising, canvassers, customer service, insurance, banking/accounting, teaching/coaching roles, admin, IT, graphic design, web, media. 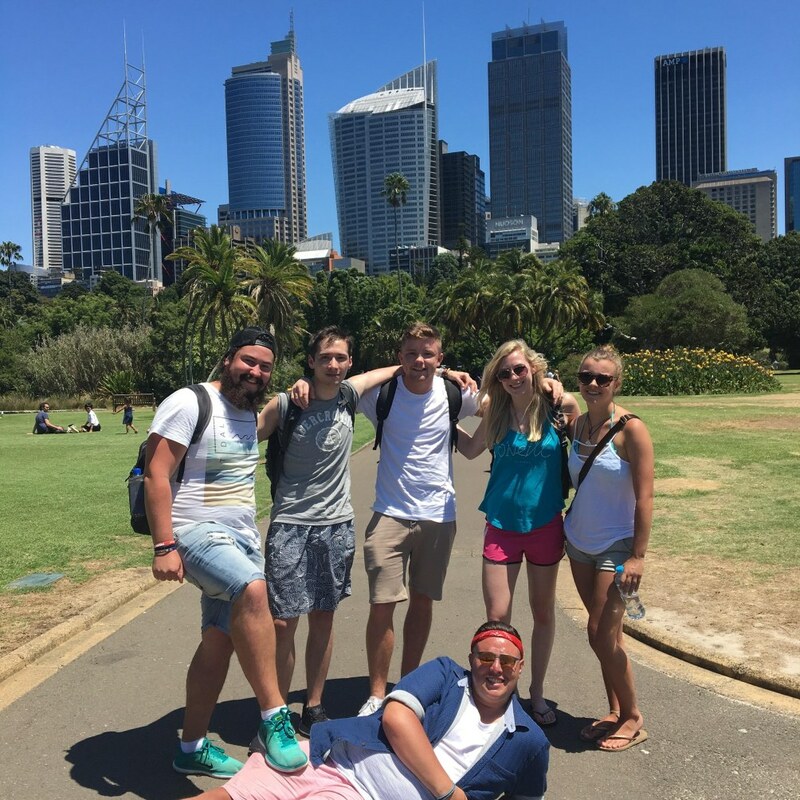 Your accommodation in Sydney is a lively backpacker’s hostel in the heart of the city, close to the harbour and lots of brilliant sights. You’ll be sharing a comfortable mixed dorm with 7-9 others, and have access to shared areas, Wifi, and your own locker. 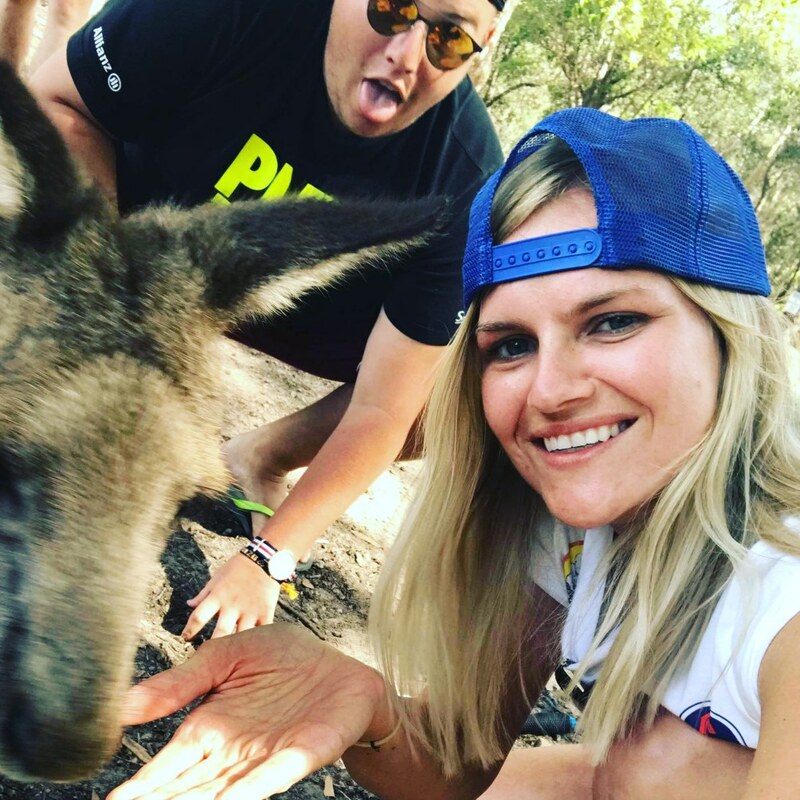 You’ll also spend one unforgettable night in a typical Aussie bush bungalow in stunningly beautiful Port Stephens – this is an authentic Aussie experience and is sure to be a true highlight! 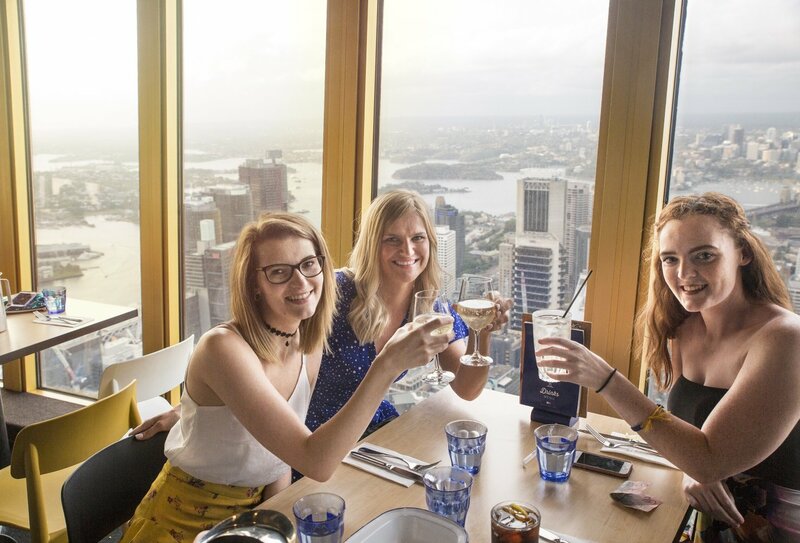 On days three and five you'll enjoy beach BBQs and lunch will be included on day six, then on day eight you’ll enjoy a delicious group dinner at Australia’s highest revolving restaurant. After your initial eight nights, you can choose to extend your stay at the hostel, or look at getting a house share with other travellers. Our friendly local team will be able to help you arrange this as well as advise you on work, places to visit locally, and travel throughout the rest of the country. 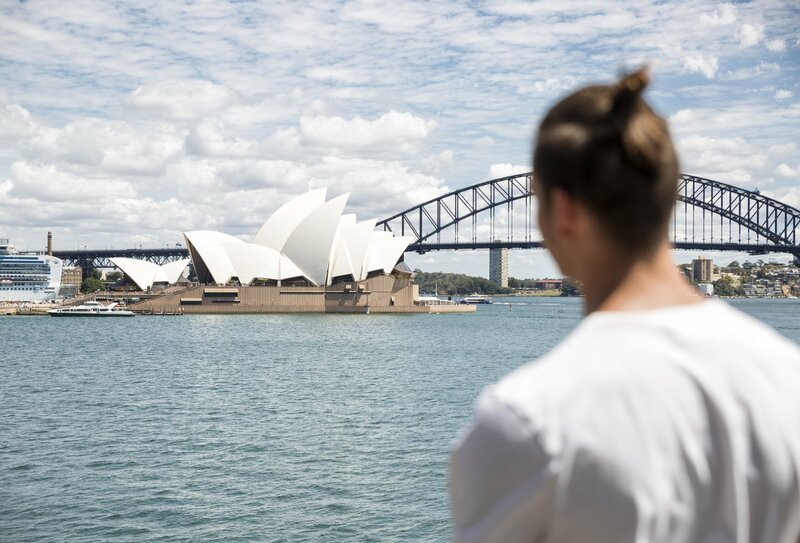 You should arrange flights to Sydney International Airport (SYD) to arrive on the first day of your programme start date. 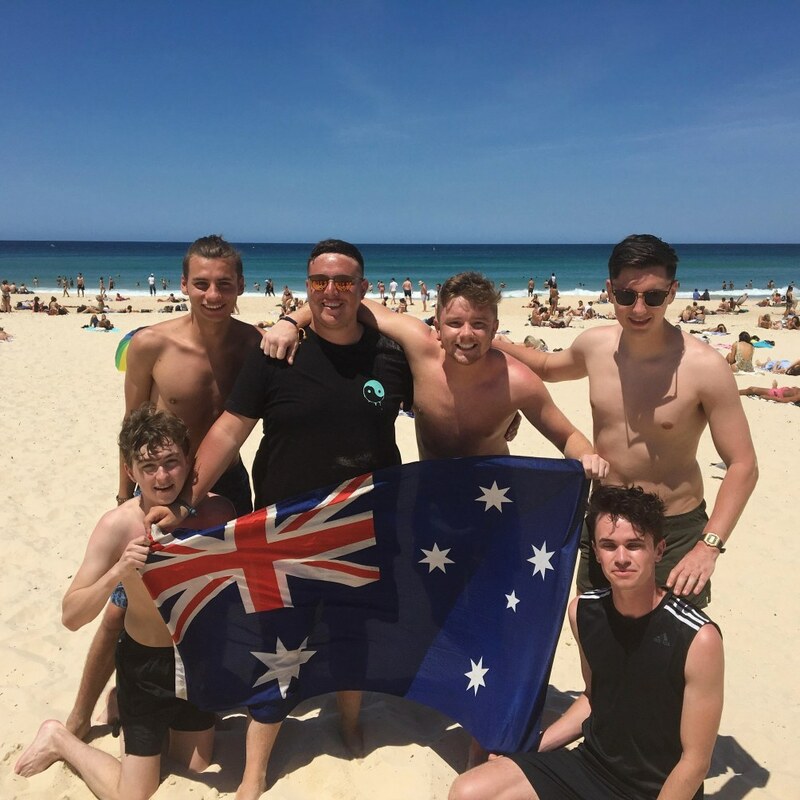 You will be met by one of our friendly team at the airport who will take you to your accommodation in the centre of Sydney. You will need to obtain a Working Holiday Visa to work in Australia, please ensure you have applied for the correct visa before travelling. We can assist you with your application – ask us for more details when you call to book. 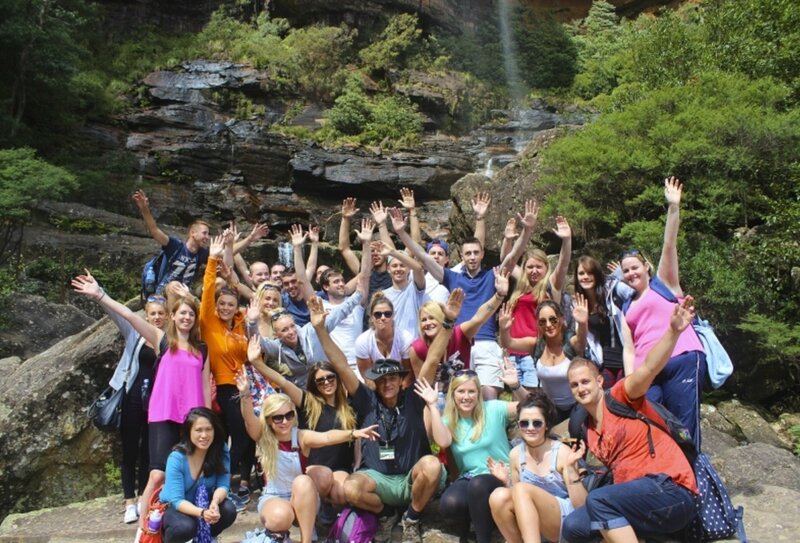 You will need to be aged 18-30 to take part in this programme due to Australian Working Holiday Visa regulations. 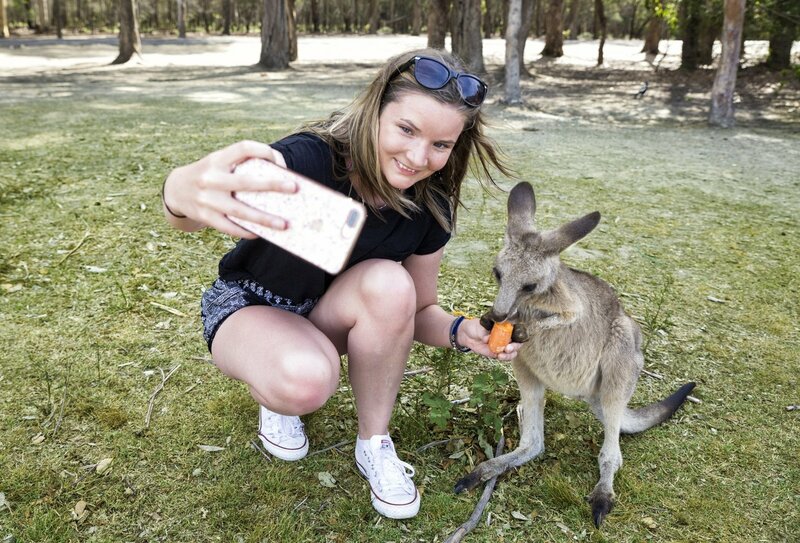 You must apply for a Working Holiday Visa for this programme, which you’ll need to obtain before travelling to Australia. Your work type will be casual, where you’ll spend no more than six months working for one employer. Be aged between 18 and 30 years old at the time of application. Hold a valid passport, with at least six months remaining following return. Not be accompanied by children on your visit. 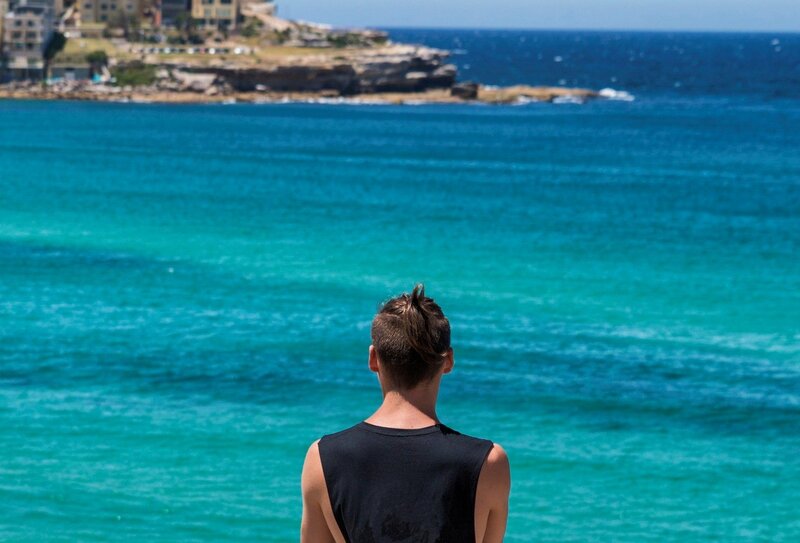 Have not previously entered Australia on a working holiday visa. Meet the relevant health and character requirements. Be outside of Australia at the time of visa grant. 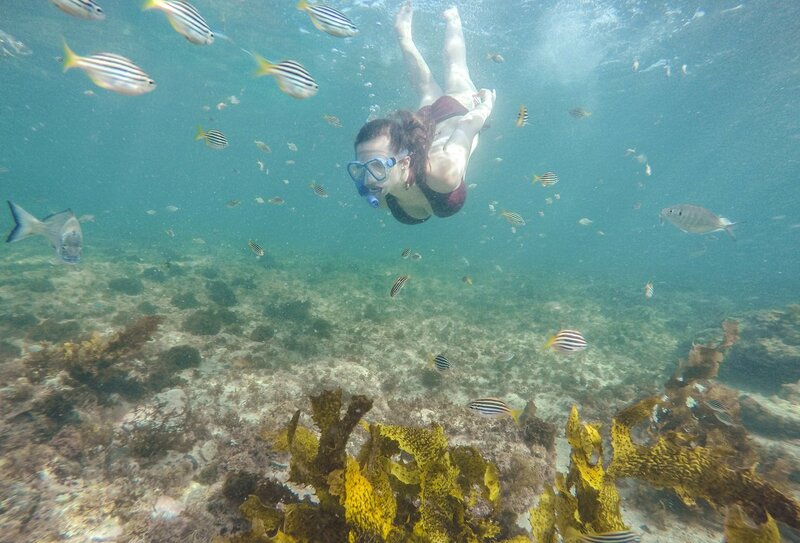 Agree that your main reason for travelling to Australia is for a holiday. Not undertake studies or training for more than three months. Have plans to leave Australia following your authorised period in the country. 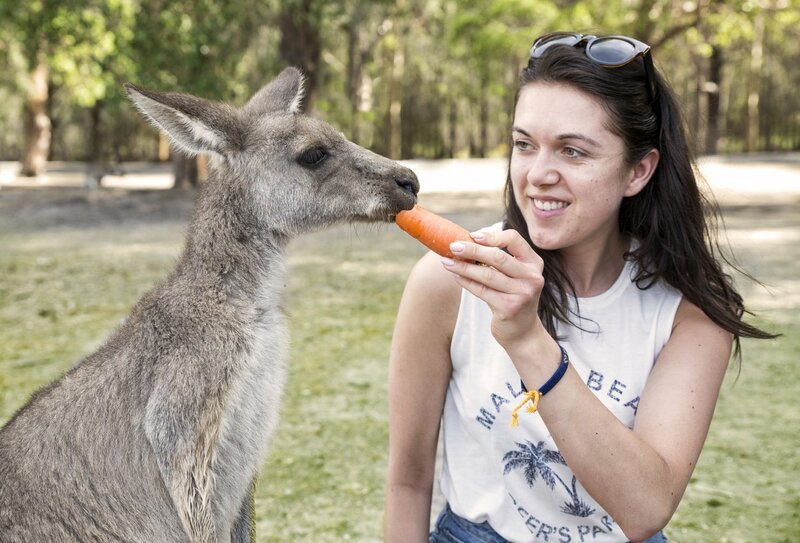 For peace of mind, we can include your Working Holiday Visa as part of your Paid Work in Australia package for an additional fee – ask us about this when you call to book. What Happens After The First Nine Days? 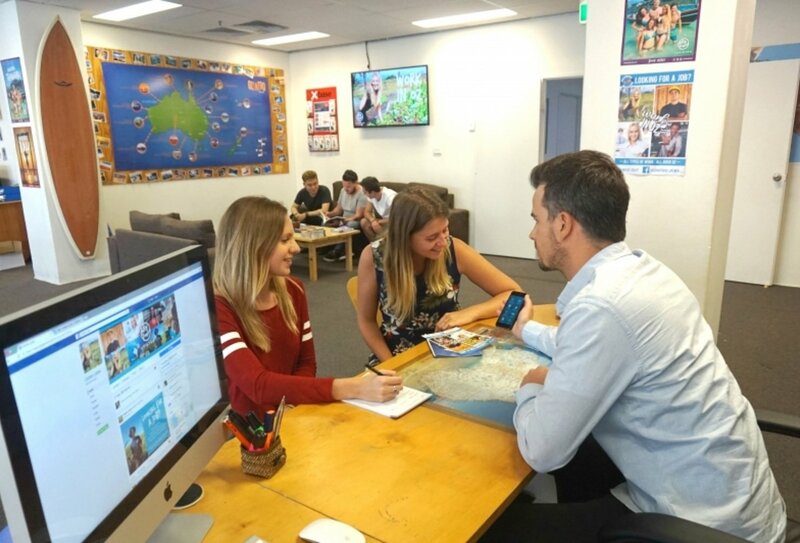 Most travellers choose to extend their stay at the hostel after the first week, but the staff there will be able to help you arrange a house share or accommodation in another part of the country if you’re moving on. How Long Should I Stay In Each Job? You’re allowed to stay for a maximum of six months with any one employer. How long a job lasts will depend on the type of job you’re doing, how you perform in that particular role, and whether or not you find the role suitable. What Types Of Jobs Are Commonly Available? There are a wide range of jobs available to you, so you have a great chance of finding something that suits your skill set! The most commonly available jobs include hospitality roles in bars, cafes and restaurants, office and admin positions, farm and seasonal work and labour and construction roles. 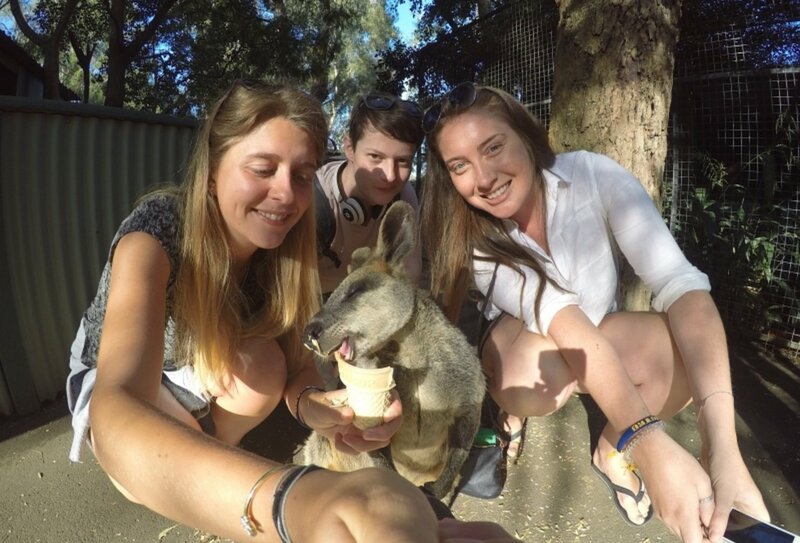 Can I Join This Trip If I Just Want A Holiday And Don’t Plan To Work In Australia? Absolutely! 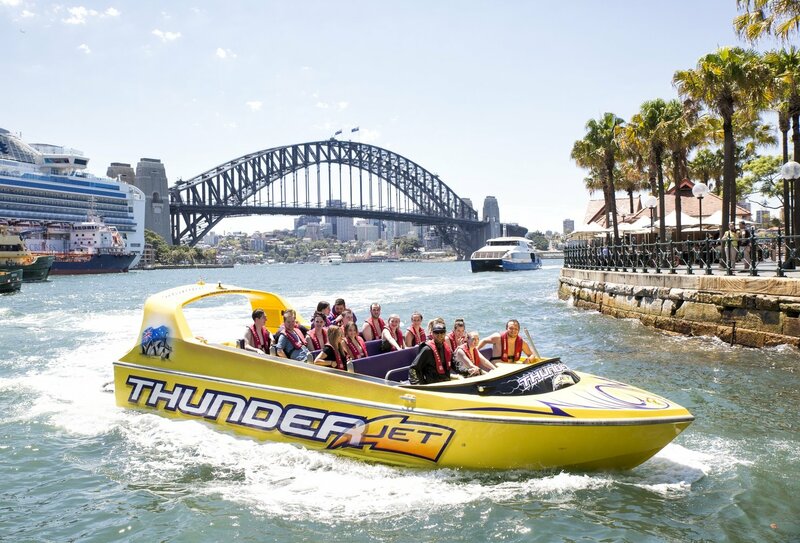 We encourage you to take this trip as a holiday – Sydney is an amazing destination and this is an action packed week of fun that will show you the best of this amazing city! You’ll also meet some fantastic people and make some brilliant memories. How Much Should I Expect To Pay For Rent? Usually, travellers will stay in a hostel, a shared room in an apartment or a private room in a shared apartment. Rent will range from $150-$250 AUD per week, and of course this varies depending on the type of accommodation and the area in which it is situated. 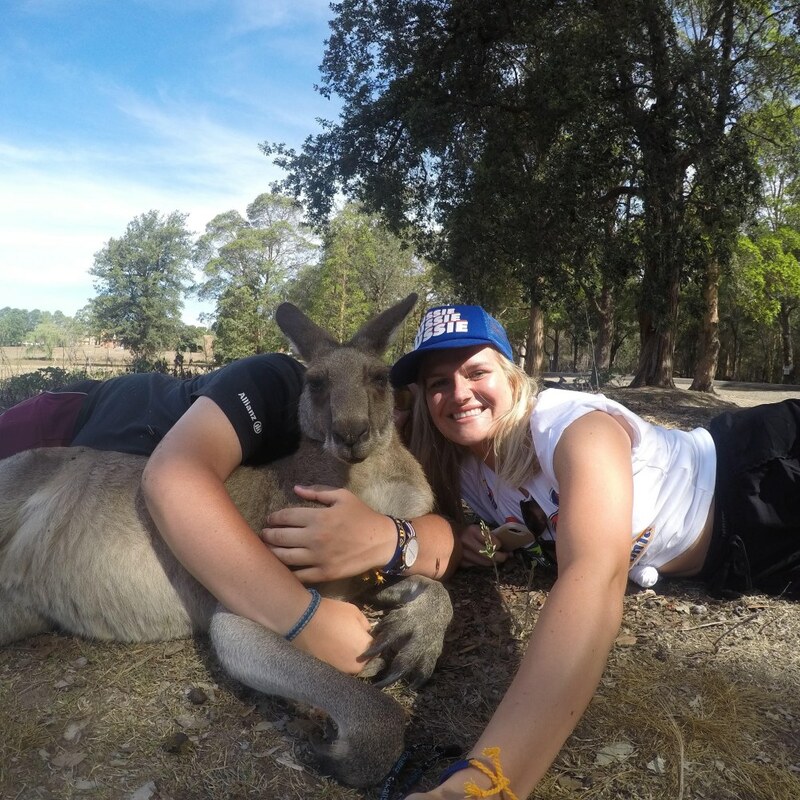 A Working Holiday Visa is a Visa that allows you to stay in Australia for up to 12 months from the time at which it has been approved. 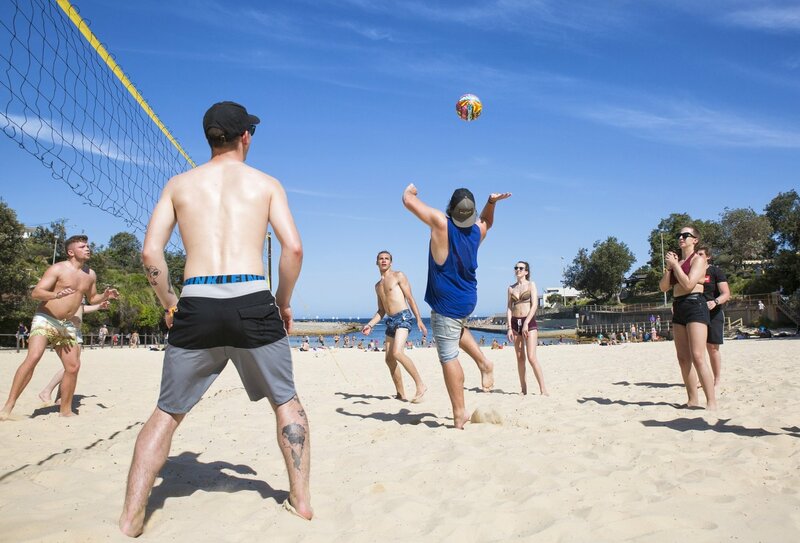 Legally, you can work for each employer for up to 6 months with a Working Holiday Visa. To be eligible you must be aged between 18 and 30 (inclusive) and hold a valid passport from the list of eligible countries. 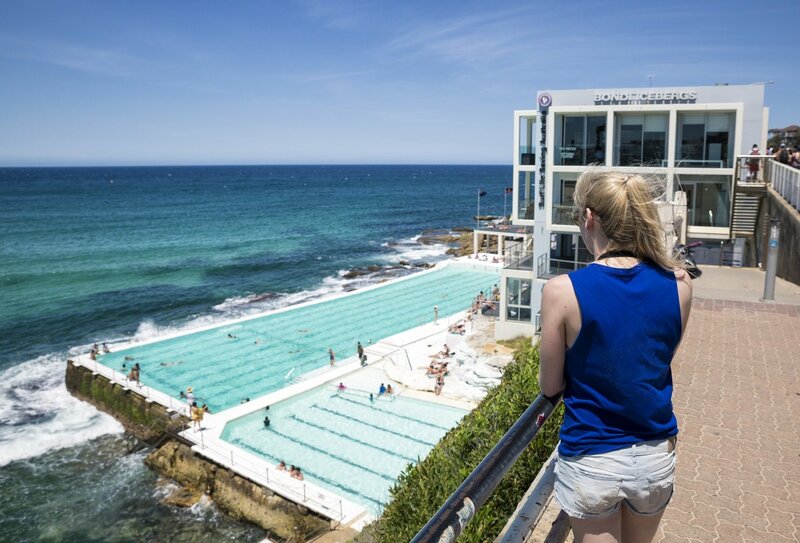 To ensure your booking experience is as fuss free as possible, we can sort out your Working Holiday Visa for you at an additional cost. The application is subject to certain conditions. 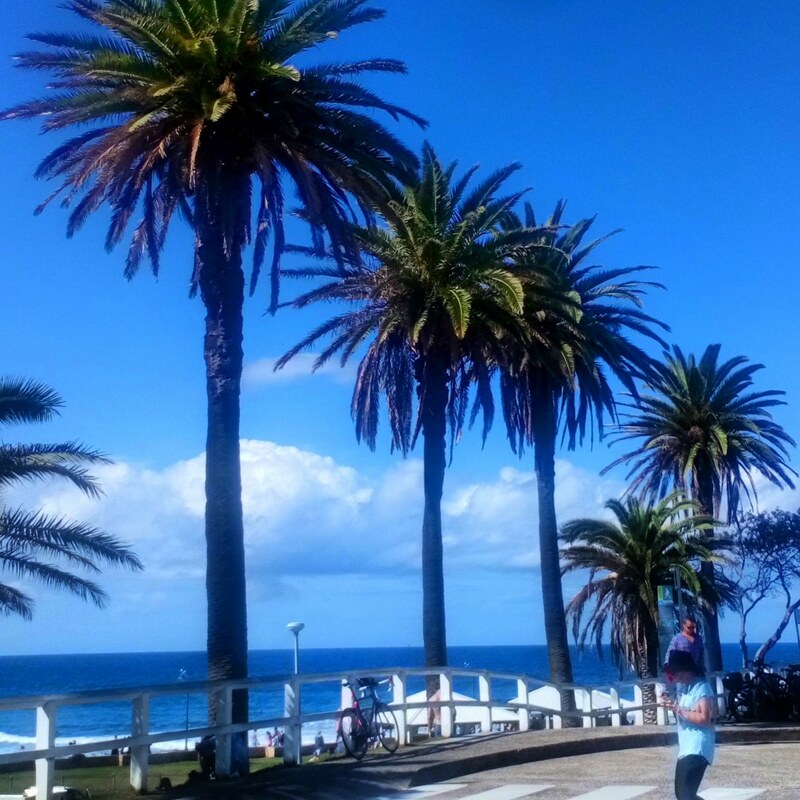 Please contact us if you’d like us to arrange your Working Holiday Visa for you! 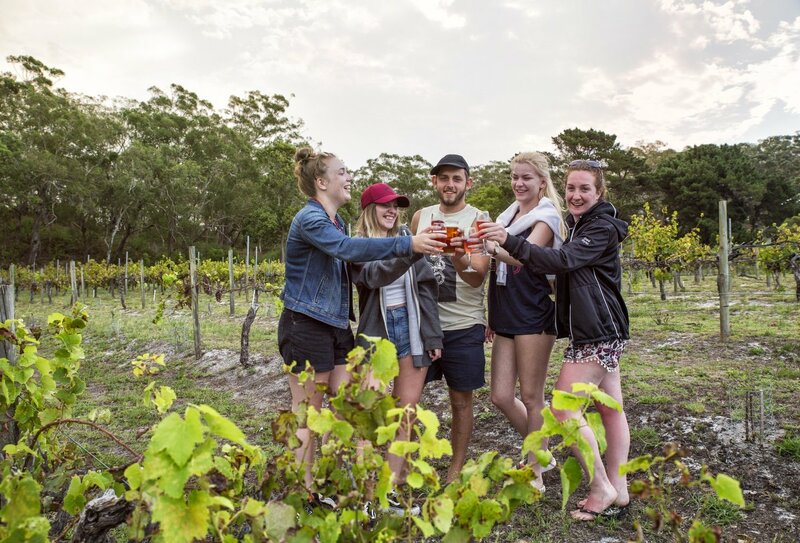 If you find you’re not ready to go home within 12 months, you can apply for an extension on your Working Holiday Visa for up to 24 months, but you’ll need to spend 88 days (3 months) carrying out specified work in a regional area of Australia, which is most easily achieved through farm/horticultural work or fruit picking. For a complete list of jobs that count as specified work, visit the Australian Visa Bureau. You can then use your second visa at any time before your 31st birthday. 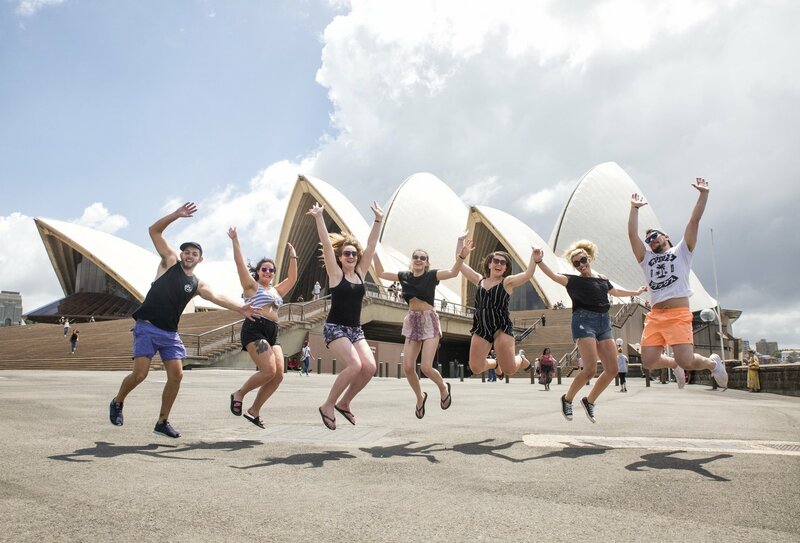 You’ll be given plenty of information about this second Working Holiday Visa during your first week in Sydney. 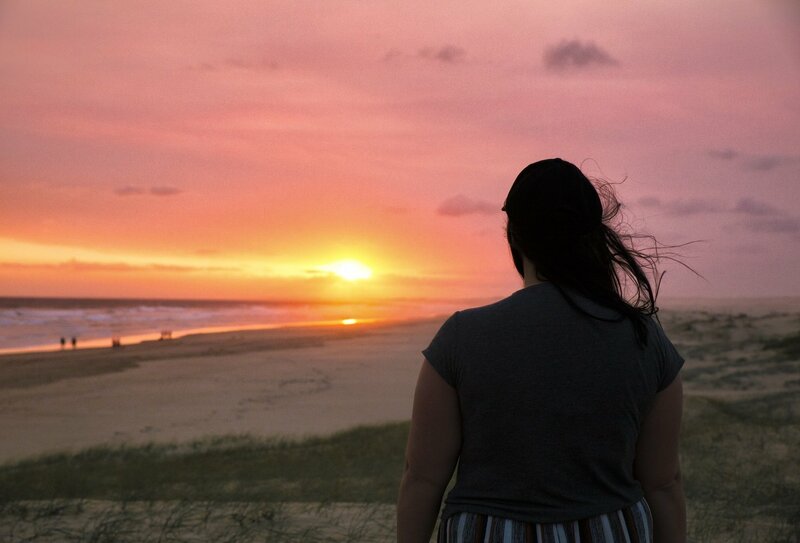 Do People Often Travel Alone? 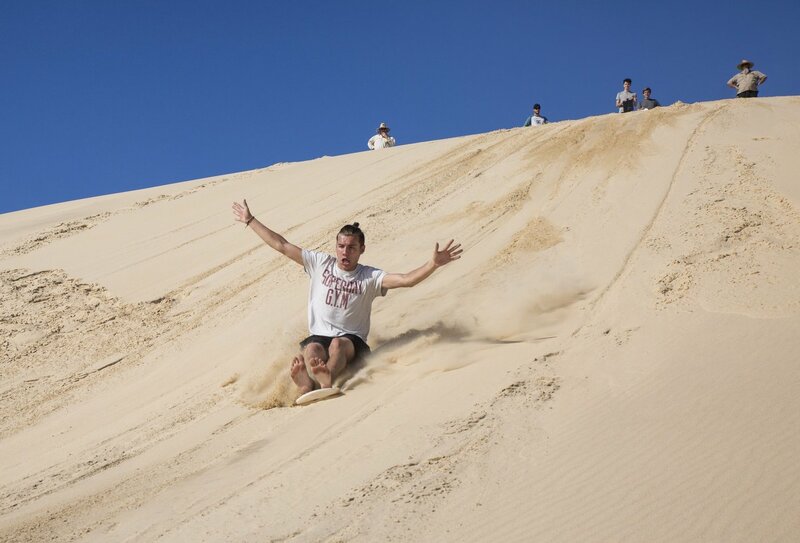 Most people participating in this experience will be travelling alone. 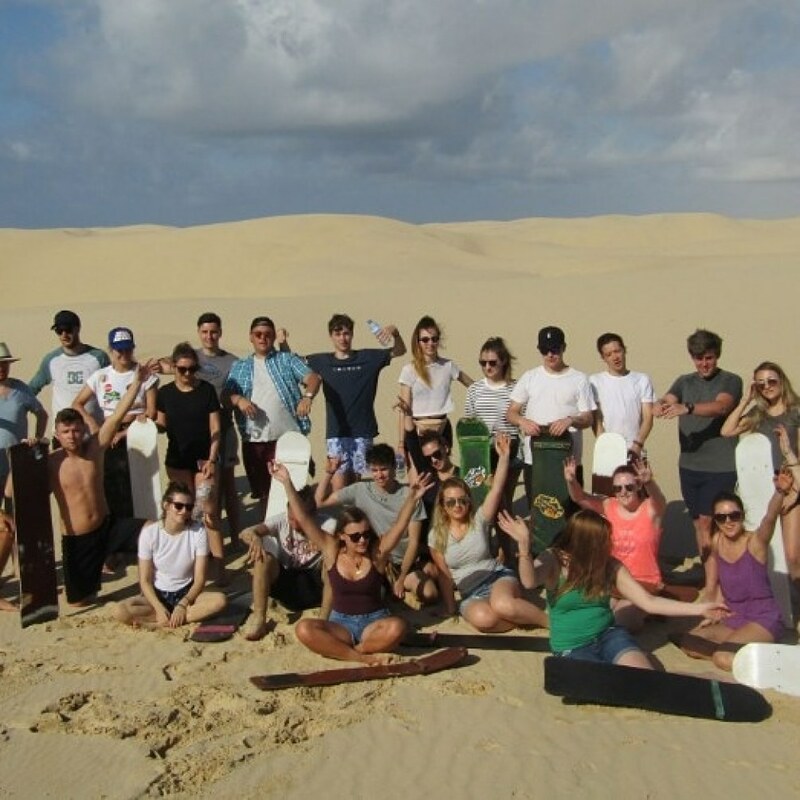 The experience is a fantastic way to meet new people, so if you’re travelling alone you’ll have an instant group of friends to share your adventure with and meet plenty of others along the way! 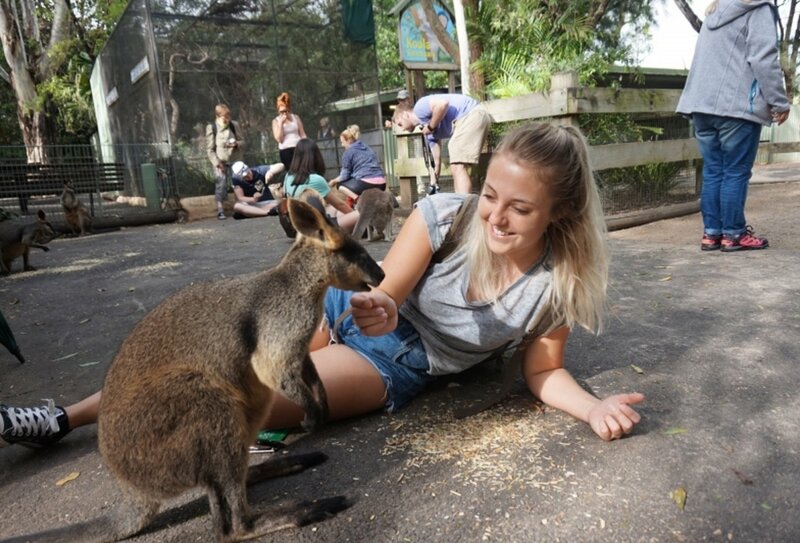 How Much Can I Expect To Earn In Australia? 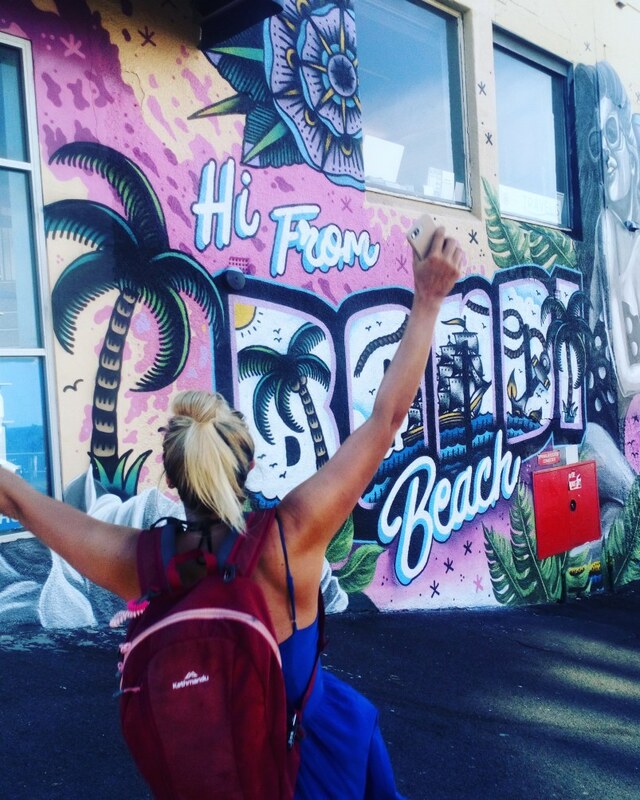 The most common backpacker work in Australia pays around $18-25 AUD per hour. Of course this will vary depending on the type of work you’re doing, as well as your experience and location. Medicare is Australia’s national health system; those holding a valid United Kingdom passport are entitled to subsidised medical treatment and medicine while in Australia. Your Medicare membership will be arranged for you during your first week. We are requiring an additional labourer to meet its expanding work load. While the position is on a contract basis, ongoing work is expected. Work at heights card is necessary, roof work will be predominately performed. A focus on customer satisfaction is essential. Professional temporary Office Support staff needed! Is anyone doing the east coast tour start 17th June? Oz intro 13th may ?? Anyone going in September for ranch work ? ??????????????? ?